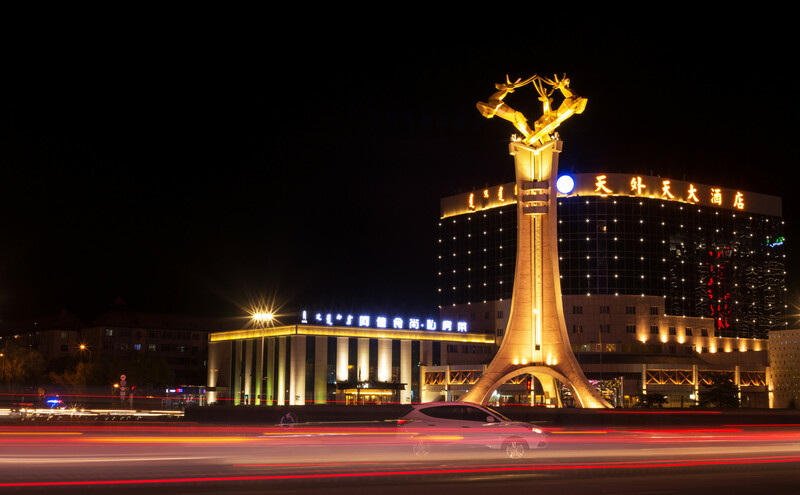 Popularly known as the “deer city” is the charming city of Baotou in Inner Mongolia, China. It is located on the banks of the picturesque Yellow River and borders Mongolia on one side. 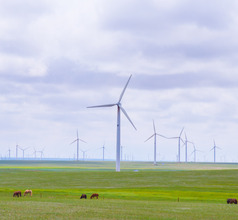 Not too far from Hohhot, the capital of Inner Mongolia, Baotou City has its own unique beauty with seemingly endless grasslands, ancient monasteries, and the lovely pastoral culture of the Mongolian people. Its natural beauty has won the city many accolades as the “Garden City”, “National Excellent Tourist City”, and the “National Civilized City”. Obviously, a large number of domestic and overseas tourists visit Baotou along with their visit to Hohhot. 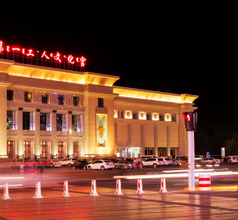 The city of Baotou was first established during the Neolithic age and later developed into a major commercial zone during the Qing Dynasty reign. 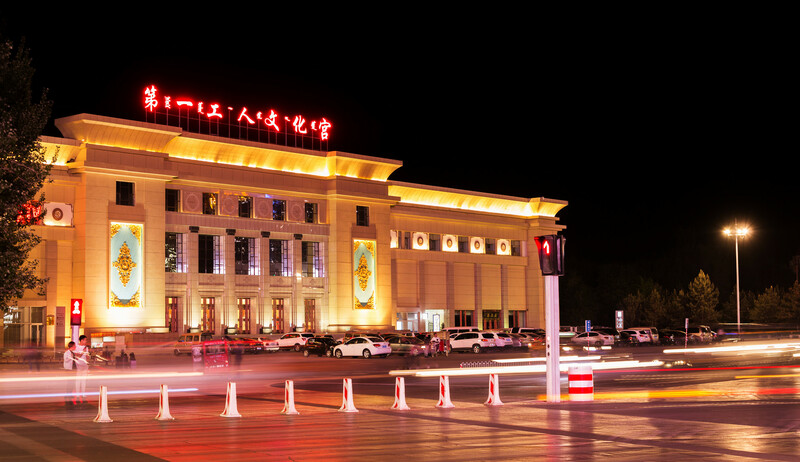 Despite its vast pastures, Baotou is a thriving city and a popular trading zone since ancient times to date. It lies in what is known as the Hetao Plain’s “Golden Triangle”. The rich mineral resources around Baotou has made it a booming industrial area. Besides the local Mongolian people, other ethnic groups have migrated to the city in search of employment over the ages. This has resulted in a city which is a charming mix of ethnicities like the Mongols, Hans, Mans, Dawuers, Huis, Ewenkes, etc. A majority of the people live in the urbanized areas of the city with good infrastructure and amenities. 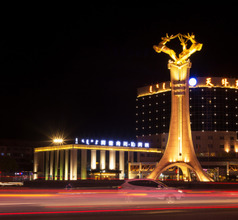 The choice of accommodation is plentiful in Baotou City and is concentrated in the downtown area or the Hondlon area. One can choose from 3, 4, and 5-star hotels, inns, guesthouses, and youth hostels. The amenities depend on the star rating of the hotels, which may include 24x7 housekeeping, laundry, airport shuttle, swimming pool, in-house restaurants serving International gourmet meals, and more. Of course, the budget hotels have only basic amenities but are conveniently located near public transport services and fast food takeaways. The staff in the low budget hotels and guesthouses may not understand English so it is best to carry an English-Chinese dictionary. The Wudangzhao Monastery near Baotou City is the largest monastery in Inner Mongolia. It is one of the four holiest Tibetan Buddhist temples along with the Potala Palace in Tibet, Labuleng Temple in Gansu, and the Ta’er Monastery in Qinghai. It not only has a magnificent architecture but is also surrounded by the most fascinating mountainous scenery. The monastery is 250 years old and was built during the Qing Dynasty. It has a huge collection of sculptures and murals decorated with gold, copper, silver, and wood. Another ancient monastery that has become a popular tourist attraction is the Meidaizhao Monastery lying about 50Kms from Baotou City. This 16th-century temple has a unique architecture that is a mix of Tibetan and Mongolian styles. It is constructed more like a walled city and consists of royal palaces, temples, large city gates, and towering walls. The monastery was the seat of spreading Buddhism in the region during the Ming Dynasty. One can enjoy the temple fair which is held on 13th May each year and participate in the interesting activities arranged for visitors. Another popular tourist attraction near Baotou City is the vast Xilamuren Grassland. The grassland is the venue of the Nadaam Festival in the summer season when many enjoyable tourist activities are hosted by the locals like horse racing, wrestling bouts, archery competitions, camel rides, sand-skating, sand sculpting, and more. The locals also arrange a visit to a Mongolian herdsman’s house to see their culture and try out their delicious cuisine. The most populated urban area in Inner Mongolia, Baotou Erliban Airport serves the Nearby populace. The mid-sized airport has two terminals, some shops and a VIP lounge. 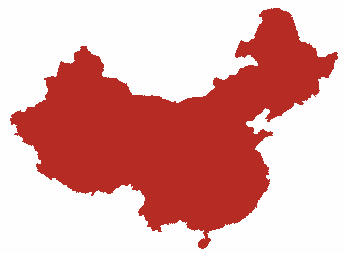 It offers quite a few routes including Zhengzhou, Beijing, through Air China and Shenzhen Airlines. Other regular routes include Nanchang, Shanghai, Hefei, Nanjing, Shijiazhuang serviced by China Eastern, Spring, Loong and Chengdu Airlines. Between downtown and airport, it is 30 minutes via taxi though buses are also available. The ancient civilization of Baotou City has left its mark in the form of its cuisine which has strong flavors and is very delicious. The dishes that are popular here are similar to those in Hohhot, the capital of Inner Mongolia. They commonly beef, mutton, and dairy products in their dishes. The focus is on inexpensive but wholesome meals. The best restaurants are in the night markets at the crossroads of Nanmenwai Da Jie and Huancheng Lu. Some of the local specialties of Baotou City are steamed open dumplings (shaomai), meat kebabs roasted on an iron griddle (Genghis Khan Teppanyaki), finger mutton, tofu, etc. But the Mongolian hotpot (boiled mutton) is the signature dish of the city. It is a typical Mongolian dish whose origins date back to the 13th century during the Yuan Dynasty reign.